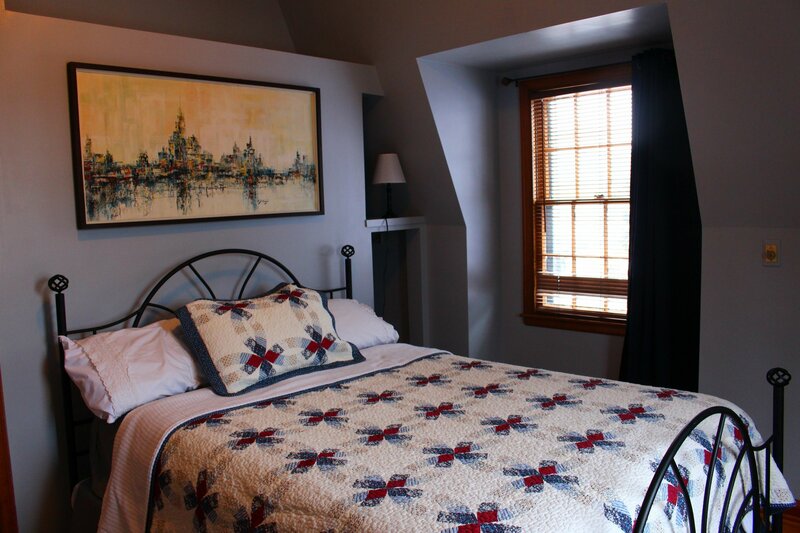 The Carriage House is your home away from home that is fully furnished. 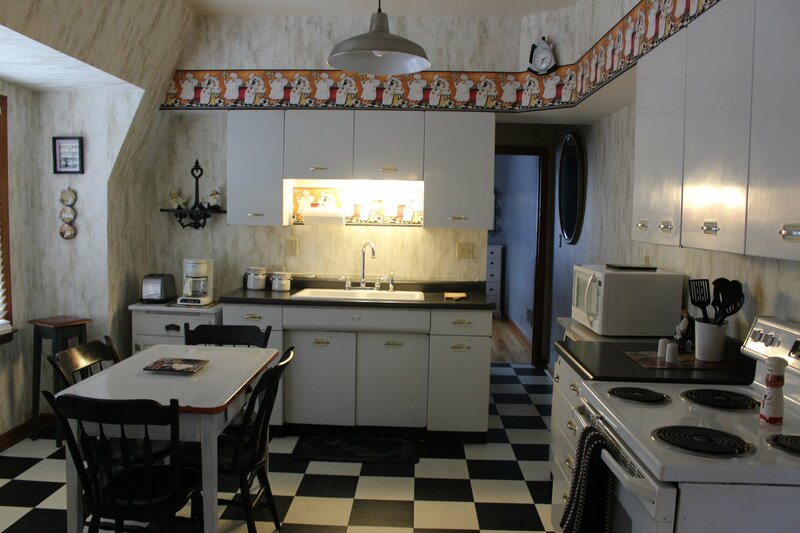 This upper unit has three bedrooms, two full bathrooms, eat-in kitchen along with a comfy living room. 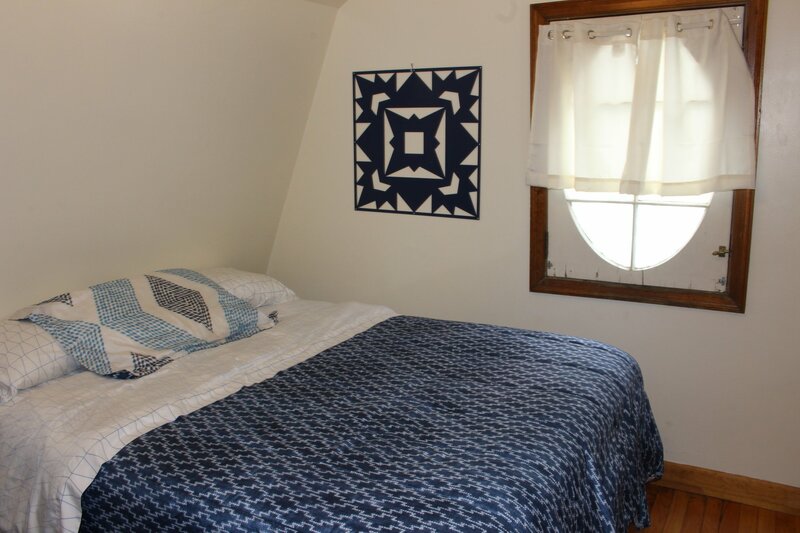 The Carriage House also has laundry right in the unit. 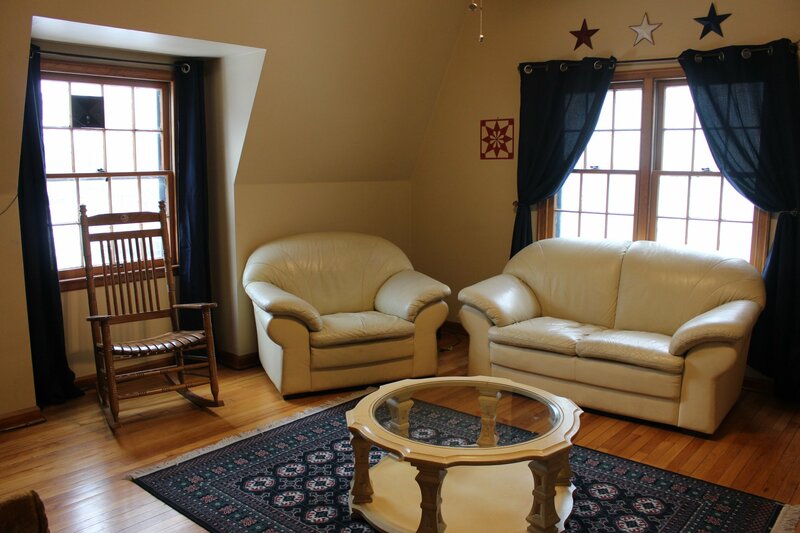 It also has a private entrance and off street parking. WIFI and television in living room. 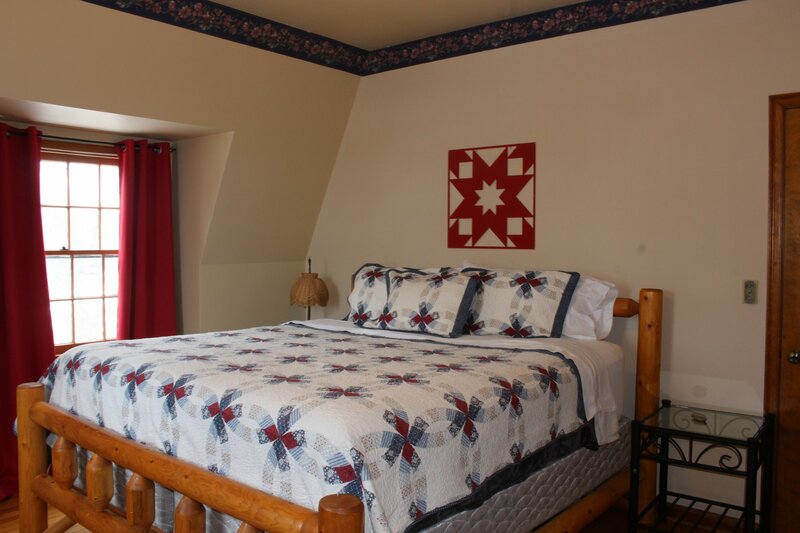 • Stays of two days or more can request housekeeping services daily. This will be added at a rate of $50-$75 extra per service. 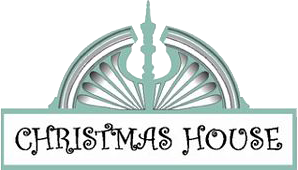 • Breakfast can be included to come eat at the Christmas House at a rate of $12.00 per person.